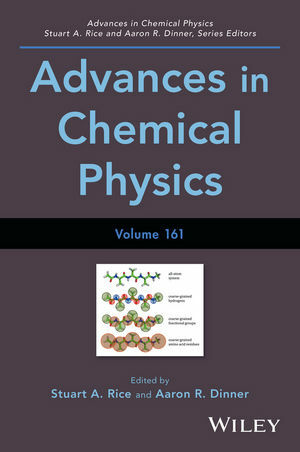 • This is the only series of volumes available that presents the cutting edge of research in chemical physics. • Includes contributions from experts in this field of research. STUART A. RICE, PhD, received his bachelor’s degree from Brooklyn college and his master's degree and doctorate from Harvard University. He was a junior fellow at Harvard for two years before joining the faculty of The University of Chicago in 1957, where he is currently the Frank P. Hixon Distinguished Service Professor Emeritus. AARON R. DINNER, PhD, received his bachelor's degree and doctorate from Harvard University, after which he conducted postdoctoral research at the University of Oxford and the University of California, Berkeley. He joined the faculty at The University of Chicago in 2003.